Last weekend the Vegie Smugglers family had a jaunt out to the country. We had a fantastic time at Orange, which is about 4 hours inland from Sydney. Great drive, great foodie spot, great adventure playground for the kids, and spots of snow up on Mount Canobolas. 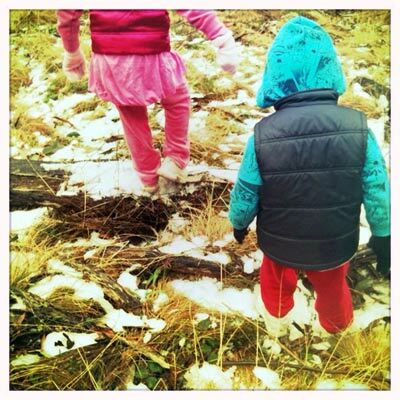 Well, patches of dirty ice really, but for never-seen-snow kids like mine, it was the ultimate thrill and they were happy to frolic in the sub-zero mud for an hour (I had to retreat to the car with frostbite about 45 minutes in). We struck gold and happened to be in town on the weekend of the farmer’s market. The produce was fresh, tasty, local, and heavenly. And I couldn’t leave without stopping by one of the little unattended roadside shacks where you pick your box of produce and leave your money in the honesty box. Love it. Funnily enough, you don’t see those boxes too often in the city. So now we’re eating our way through 7kg of apples. I’ve dug out ‘Lady Hackett’s Household Guide’ and am trawling through the chapter on ‘hot fruit puddings’. Most of them all start with the premise of stewed apples, which they mainly do with heaps of water. Sounds a bit insipid, so I’ve dug out my own stewed apples recipe. And with the final product I’m going to have an experiment this weekend. I like the look of the apple rice meringue. 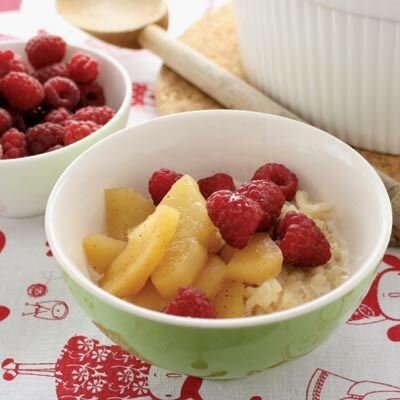 Combine the mashed apples with cooked rice and 2 egg yolks, and then top with the egg whites whipped up with caster sugar. Set in the oven for a few minutes until brown. Yum. Place all the ingredients in a small saucepan over medium heat. Mix well, cover and bring to a simmer. Cook until the fruit is soft (8-10 minutes), stirring occasionally. Remove from heat. Cool. Discard the cloves (if using). How delicious do those apples look? 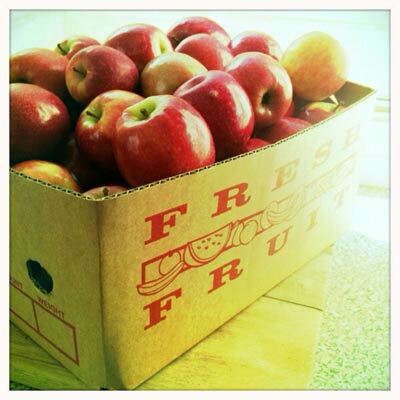 We were given a box of apples yesterday and they were ready for the juicer.. but now maybe the oven. I grew up on an orchard near Mt Canobolas. Needless to say we powered our way through plenty of apples! A favourite winter dessert was butterscotch apple dumplings, made from a Women’s Weekly recipe. http://aww.ninemsn.com.au/food/cookbooks/787516/butterscotch-apple-dumplings as you will see, it’s not terribly healthy, but is always a hit with children and adults alike. It looks impressive as it comes out of the oven, but is really quite a cinch to make, as a lot of it can be prepared in advance. Antonia – thanks for posting the dumplings link – will definitely give it a try – looks great!! !